Bacopa (Water Hyssop) are naturally found in tropic and subtropic areas, especially in the Americas. They grow well in spring baskets and mixed containers. A well-grown hanging basket can have hundreds of blooms and dense, dark green foliage. (Bacopa is a fast grower, so beware dumping out your old stock baskets in warmer climates or the bacopa may spread!) Your customers will love how Bacopa cascade over the edge of container. They can stand full sun to partial shade, but they do not tolerate heat well. They weather the summer best when mixed with other plants. For best results with Bacopa, we recommend using a constant feed program of 200 ppm N. Maintain a pH between 5.8 - 6.2. If the plants develop yellowing at the tips of the leaves, pH level is the first thing to check. Bacopa flower year-round and load up with small blooms (available in white, blue, and pink). Pinching is not necessary, but one pinch may be helpful. Allow 4 weeks after pinch for blooms to develop. Plant growth regulators are not necessary for Bacopa. 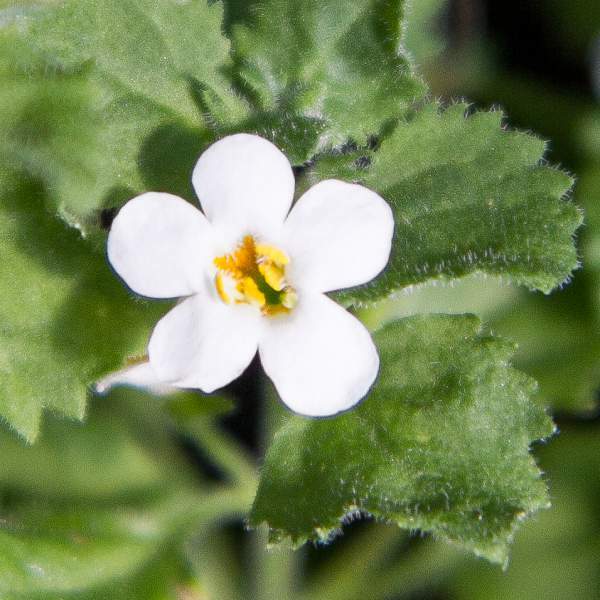 Whiteflies, and aphids are the biggest pest problems with Bacopa. Carolina Big Bloom White are not prone to many diseases, but they can develop root rot if they get too wet. Also watch for botrytis while the days are short. This grey rot is usually associated with wet or humid conditions. You can prevent botrytis by allowing the plant to dry out between waterings, allowing for good airflow in your greenhouse, and spacing to allow the sun to penetrate to the soil level. The most common chemicals used to treat botrytis are Medallion and Banrot. Use them as a drench according to each label’s instructions. 2. Pinching is recommended 5-10 days after transplantation. A second pinch may be necessary depending on the size and shape of the final pot.